Organisation Development Network Malaysia (ODNM)- Implementing Artificial Intelligence in Human Resources. Artificial Intelligence in Human Resources. 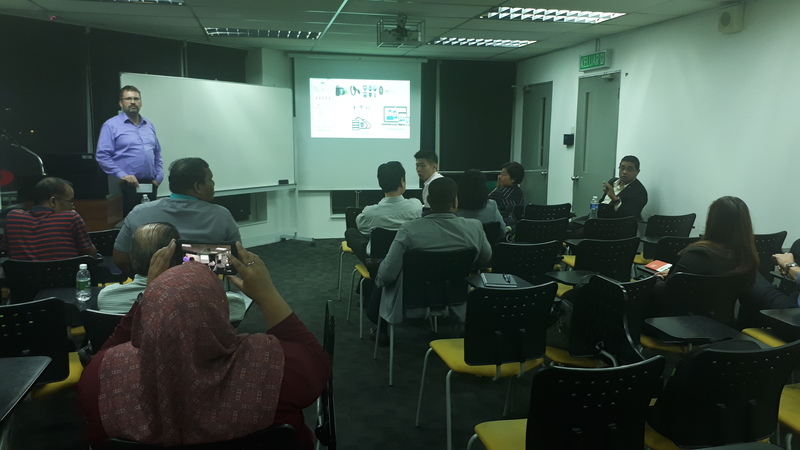 The Organisation Development Network Malaysia (ODNM) held their monthly sharing session on 14 November 2018 at BAC’s KL Campus. This month’s topic of discussion “Implementing Artificial Intelligence in Human Resources” was facilitated by Isaac Peter Selvaraj, founder of ODNM. The guest speaker was Mr Vaclav Koranda, Director and Vice President of Human Resources (HR) in T-Systems Malaysia, international information and communication technology (ICT) based company. The session was attended by 14 participants. Mr Vaclav started the session with a brief introduction on how ICT can be adopted into the operation of a company especially the HR department. Subsequently, he shared some benefits of leveraging Artificial Intelligence (AI) into HR, namely, finding the right talent for the right position. This point was further illustrated by Mr Vaclav with examples of AI-enabled recruitment tools used to search the internet and other sources of information to gather details of potential job seekers for the desired job description. This not only minimises the possibility of overpromising candidates, which may occur when the search is conducted by humans, but also assist to shortlist candidates from a virtual pile of thousands of resumes, by closely examining the criteria that is on par with the requirements of the said organisation. In addition, AI recruitment tools could assist the organisation to employ and retain the most suitable candidate for the right position and ensure a low retrenchment rate in the long run. Most importantly, AI can support employees in performing their functions in a more focused, efficient manner by eliminating the need to perform repetitive and routine tasks such as managing personal schedules as well as using communications via post and email to set appointments with partners and colleagues. This ensures that the employees can remain focused on important non-routine activities that are more valuable for business. The Make It Right Movement (MIRM) supported the session by providing assistance in booking of the venue and the meals. ODNM is a community of organisation development practitioner. Their vision is to promote the mindset of Organisation Development in Malaysia.